An ultrasonic flow meter is a velocity flow device for volume measurement in a closed pipe.The unique feature of clamp-on (also called non-invasive) measurement way make it a very promising high technology product in flow process. We have developed and manufactured ultrasonic meters for decades of years and can supply an extensive range of ultrasonic measurement products,and mainly have ultrasonic flowmeter,ultrasonic water meter, ultrasonic heat BTU meter, ultrasonic thickness gauge,etc.In order to meet different various requirement,we have developed wide series ultrasonic conversion and flow sensors,e.g. handheld unit,portable unit,fixed series flow conversion,clamp on sensor,hot-tap insertion sensor,flange tube inline flow sensor,etc. There are mainly two kinds of principles for ultrasonic flow meters. We won’t list detailed explanation about their information because there are many articles introducing them. We mainly tell you how to select them. Doppler flow meter is only for liquid and the liquid is dirty. Time of flight is called as transit-time. 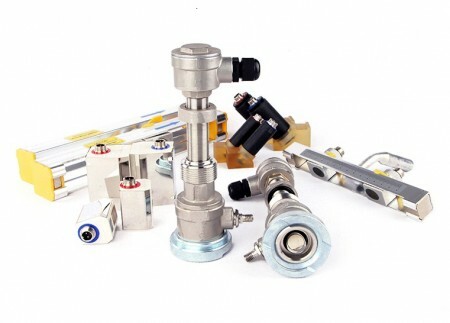 Transit-time flowmeter can be used for liquid and gas. When used for liquid, the fluid should be clear, or with minor/average air bubble or solid particles. Based on advanced ultrasonic technology, we have developed series of ultrasonic flow meters. Handeld ultrasonic flowmeter has a small body size, and is widely used for flow survey and flow check. With built-in data loggers, handheld unit can record the measurement datas of many items. With built-in battery, the handheld flowmeter can work about 12 hours after fully recharging. The data logger software for handheld flowmeter is also available which can be used for data further processing. It can be easily moved to test different location and points. Comparing with handheld flowmeter, their main difference the portable unit has a built-in thermo printer which can print data at spot. Also its built-in battery can provide longer working time (over 20 hours) after fully recharging. Unlike portable flow meter,fixed series ultrasonic flow conversion are usually installed on a fixed pipe for long term.Our fixed flowmeter can be powered by AC or DC power or solar-power or battery power. The fixed serial flow conversion units have wall mounted unit,desktop type,explosion-proof version,water-proof type,Din-rail type,integrated type,etc. We also develop SD data logger for fixed type flowmeter. The SD memory card is from 1G to 8G. The fixed type ultrasonic flow meter can support clamp-on,insertion and inline sensors. Low cost ultrasonic flowmeter is designed for large quantities and low cost application. Though its price is lower, its function is still powerful as other fixed type ultrasonic flowmeters. It size is very small and has a compact enclosure design, so it can has a low express shipping cost, especially sell it to different countries. If customers are willing, they can replace a new enclosure which will improve the grade of enclosure.The low cost ultrasonic meter can support clamp-on,insertion and inline sensors,too. The ultrasonic water meter is developed on our patented transit-time technology and provide accurate water flow metering.It is battery powered and IP68 class.Our ultrasonic water meter can support MODBUS and Meter-bus protocol. The water meters have single and dual-path,and meanwhile, part of them can support insertion flow transducer for pipe over DN80mm. Equipped with PT100 or PT1000 resistors,our transit-time flowmeter or ultrasonic water meter can be functioned as ultrasonic thermal energy meters. Inherited from transit-time meters, various of flow sensors can work well for BTU heat meters. For PT100 resistors, there are insertion type and clamp on type, and each set of PT100 or PT1000 must be done with strict calibration to ensure the whole accuracy. Ultrasonic thickness gauge can be used to measure pipe wall thickness,which can improve the accuracy of ultrasonic clamp on flow meter. The ultrasonic thickness gauge is battery powered with compact body size design and has a low cost-effective solution.